Commuter traffic at intersection of Av. 23 de Maio and Rubem Berta at time of evening rush hour. 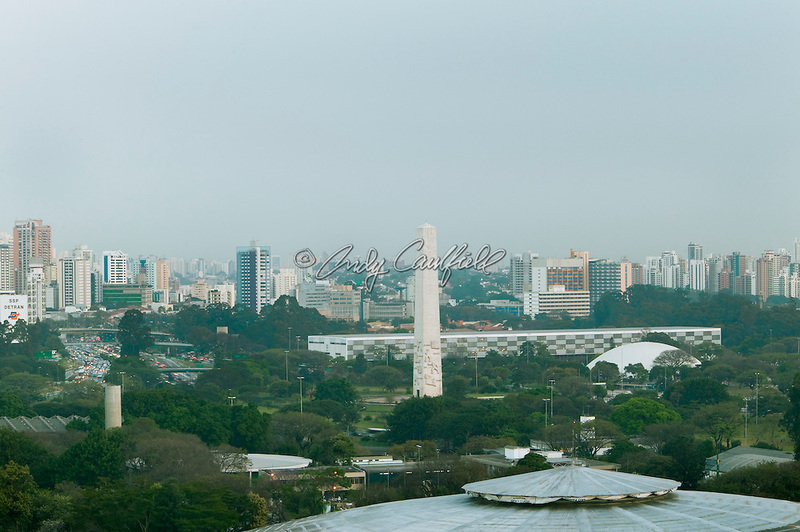 Ibirapuera Park, Bienal, Musuem of Art (MAM) and Obelisk. Looking towards Vila Mariana and Moema districts of Sao Paulo, Brazil.